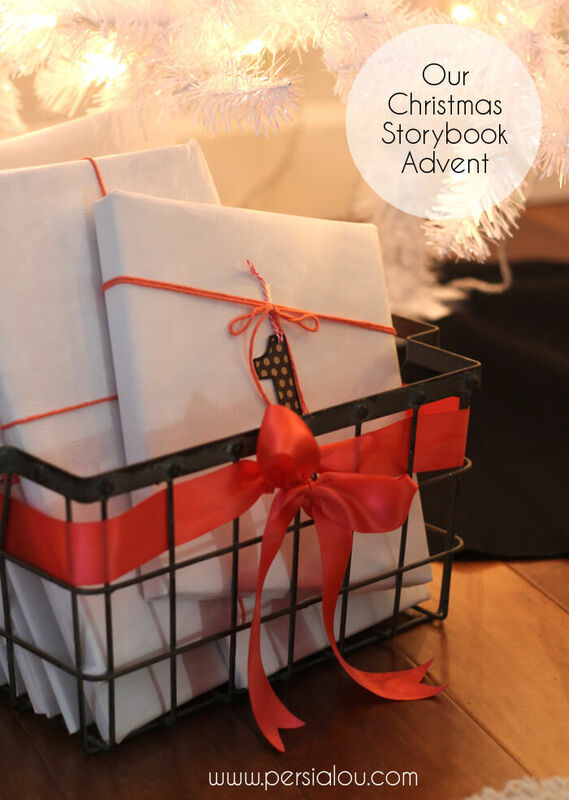 Create a Christmas Book Advent to celebrate the season this year and create a new favorite tradition in your family! Every night unwrap and read a different storybook. Ideas for wrapping and list of recommended books. This post contains affiliate links, which help to support this blog. Thank you! One of my very favorite holiday traditions is our Christmas book advent. This is still a new tradition in our home. Last year was the first year we did it, but our kids loved it. We are bringing it back this year with a little twist, and I’m even more excited about it! Here’s the general idea: Every day leading up to Christmas, the kids get to open up one wrapped Christmas story that we will read together before bedtime. The final book that we open on Christmas Eve is the Bible from which we read the Christmas story together. 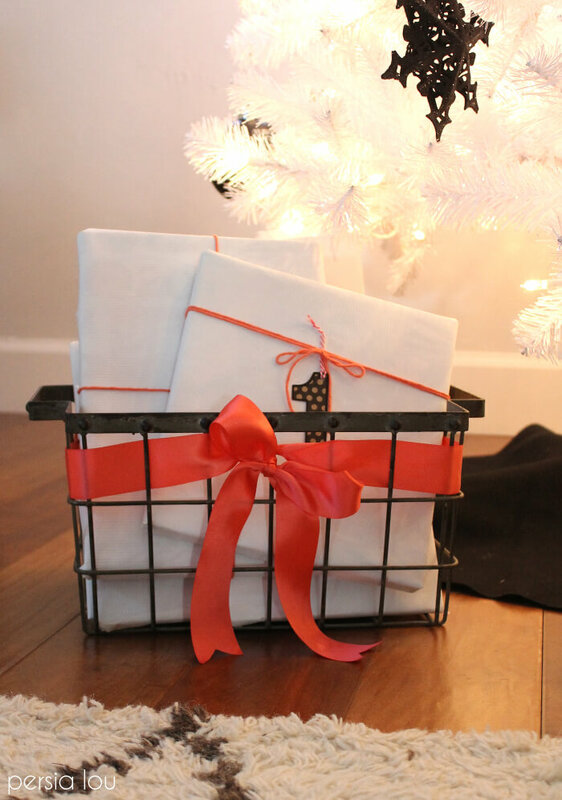 I wrap up all the books with numbered tags, so we know which one to open each day, and then tuck them into a basket under the tree. 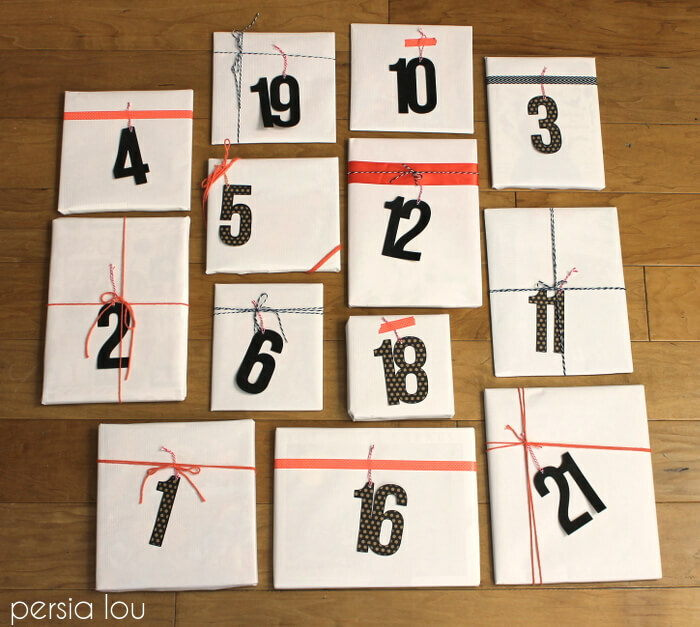 To make your own Christmas book advent, you will need 24 Christmas, holiday, or winter-y books. If you are building your book collection you could even start by doing the 12 days leading up to Christmas. We do NOT buy all new books every year. The first year we already had a fairly good collection of Christmas books, but I think I still had to buy about eight new books. If that is too much of an upfront expense, you may want to look for books at thrift stores or borrow books from your local library. 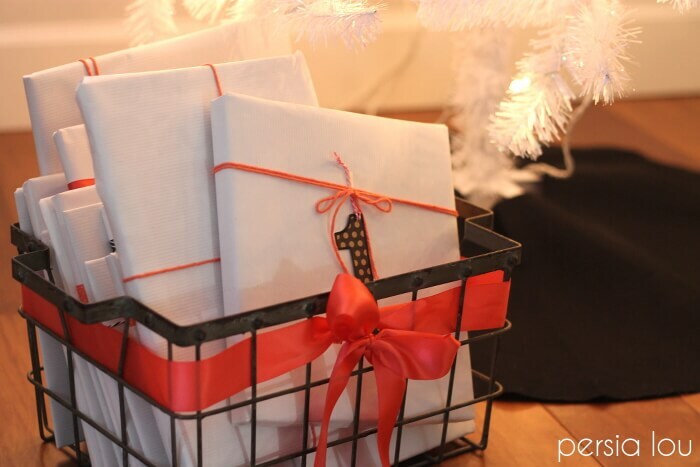 Once you have collected your books, you will need to wrap them up. This year I used plain white paper and cut number tags out of cardstock using my Silhouette. This year I’m adding the little twist that when we unwrap each gift we will take the numbered tag off and add it to a ribbon as another Christmas countdown. By Christmas Eve the ribbon will be all filled up! My kids have been asking me every day for the past week when we get to open our first book. Today’s the day! Absolutely wonderful idea! Thank you for sharing. Fantastic idea! I&#39;m going to check out some of those books–I&#39;d love to do this next Christmas with my kids. great idea! Half.com is another great place to buy used books, too! we love books! i adore this idea- the gift that keeps on giving! Such a great idea! Great book list as well. I need to add a few to my nieces&#39; collection! The BEST tradition. I remember thinking that last year as well. 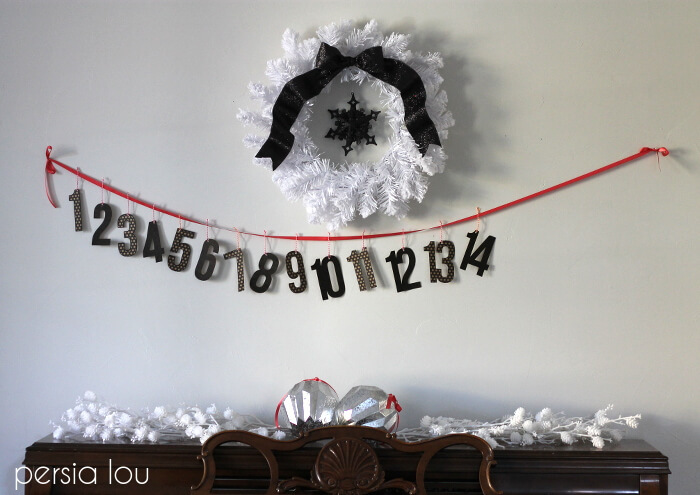 Hanging up the numbers is such a genius way to make this an advent! This is such a great idea and so pretty, too. Kids love opening presents, period! Alexis, I think this is such a beautiful tradition and one I will definitely keep in mind for when we have a family! Thanks so much for sharing! We started doing this last year too and it&#39;s such a great tradition! My kids love it!! I love this idea! I am definitely going to try this next year when my little one is a little bigger. And the ribbon with numbers is a great visual too – love it! This is such a COOL idea, Alexis! I love that you use the same books year after year. So fun to be on this tradition tour with you!